French & Pickering Creeks Conservation Trust actively works to protect endangered land and natural resources in northern Chester County watersheds through use of a variety of conservation tools and techniques. The most common of these is an agreement that takes place between the French & Pickering and a landowner, known as a conservation easement. Sadly, many people already know how quickly the natural beauty of land can be lost, due to yet another housing development or shopping center taking the place of an open space. Now is a pivotal time for landowners to seek a way to protect their land from current or future development. When a landowner makes the decision to pursue placing a conservation easement on their land, they are granting French & Pickering the right to place restrictions on what the land may be used for, in order to protect the conservation values of the property for generations to come. Conservation values may include trails, important habitats for native plant and wildlife, exceptional water quality, and scenic views—all of which could be devastated if left unprotected. The right to develop land has monetary value, which means that these rights can be accepted by French & Pickering as a potential charitable donation, or can be bought by the French & Pickering with funding gathered from a wide array of sources, such as grants, fundraising events, donations, and Annual Sponsorships. A conservation easement does not have an expiration date, nor can it be removed by future landowners, allowing the land that is protected by the agreement to remain in its natural state of beauty for future generations to enjoy. 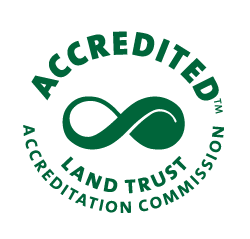 If you are interested in conserving your land or would like to learn more about the organization’s conservation efforts, please contact Pam Brown by filling out the form below. Countless studies have been conducted that demonstrate how protecting open space benefits local and regional economies. For example, open space—specifically forested land—has demonstrated lower costs for water treatment. Other studies have also demonstrated the increase in property values that are adjacent to or in close proximity of public trails and protected properties. Please visit our Resources page for more information. French & Pickering is not only dedicated to protecting open space and natural resources, but also to the belief that all people should have access to the healing powers of nature. Using conservation easements and strategic partnerships with other organizations and local governments, French & Pickering has led the development of a vast trail network in the region. French Creek Trail (FCT) is an informal trail for hikers, equestrians, and fishermen which runs along the French Creek and highlights the scenic and historic charm of the region. The French Creek Trail is an important connector in the regional trail network and connects to larger trails such as the Schuylkill River Trail and the Phoenixville Iron Canal Trail in downtown Phoenixville, as well as to the 140-mile Horse-Shoe Trail which runs from Valley Forge National Historical Park to the Appalachian Trail northwest of Harrisburg. French & Pickering currently holds easements on certain stretches of the French Creek Trail and has partnered with several municipalities to receive significant grant funding to acquire and develop portions of the Trail. New sections of the trail are opening in the coming months and through next year, including the reestablishment of the section which traverses Lundale Farm. There are many access points to access the French Creek Trail – for more information on the French Creek Trail and where to access, please contact our Conservation Director, Pam Brown, at pbrown@frenchandpickering.org. The Horse-Shoe Trail (HST) is one of the oldest and longest trails in our region. Beginning in Valley Forge National Historical Park, it meanders across numerous counties, townships, and protected lands before reaching its western terminus at the Appalachian National Scenic Trail in central Pennsylvania. 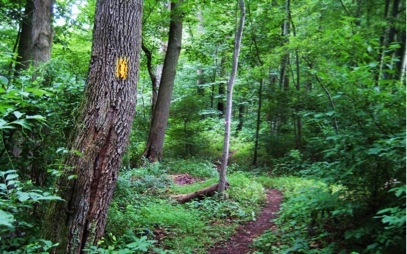 In addition to traversing Valley Forge National Historic Park, the yellow-blazed trail traverses Warwick County Park, French Creek State Park, and the Hopewell Big Woods. 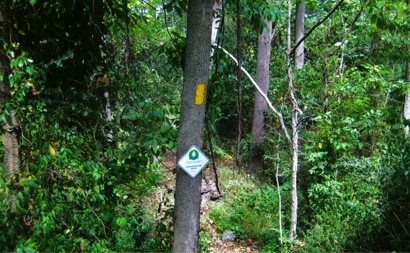 As its name denotes, the trail is designed and used primarily for hikers and equestrians. The HST is designated as a major greenway of statewide significance in Pennsylvania Greenways: An Action Plan for Creating Connections. Many portions of the trail date back to the 18th century when trails were used to access forests for use as coal when furnaces and forges covered the region. The Schuylkill River Trail (SRT) is one of the most popular and widely used trails in our region and serves as the main connection between Philadelphia and northern Chester County. Large portions of the SRT have been developed, and upon completion, it will run 140 miles from downtown Philadelphia to Fort Mifflin. 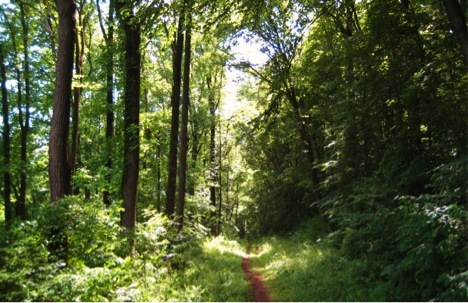 The SRT connects many other significant trails in the region, including the Chester Valley Trail, the French Creek Trail, the Perkiomen Trail, and the proposed Devault Line Trail. Like many trails in the region, a large portion of the Schuylkill River Trail is comprised of rail-trails. Rail trails are abandoned or unused railroads that have been converted for trail use. 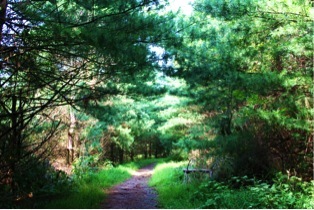 In addition to the trails above, there are many other trails in the region that you can visit to connect to nature. 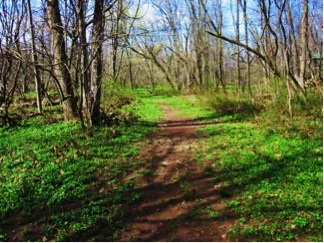 Please visit connectthecircuit.org for an interactive map of the trail network in southeast Pennsylvania. Please contact French & Pickering to learn more about the benefits of trails, our ongoing trail projects, and to find out which trails can be found in your community. Water is essential to all life, and without healthy stream buffers and conserved land to protect our waterways, the water we depend on is subject to degradation from erosion and pollution. 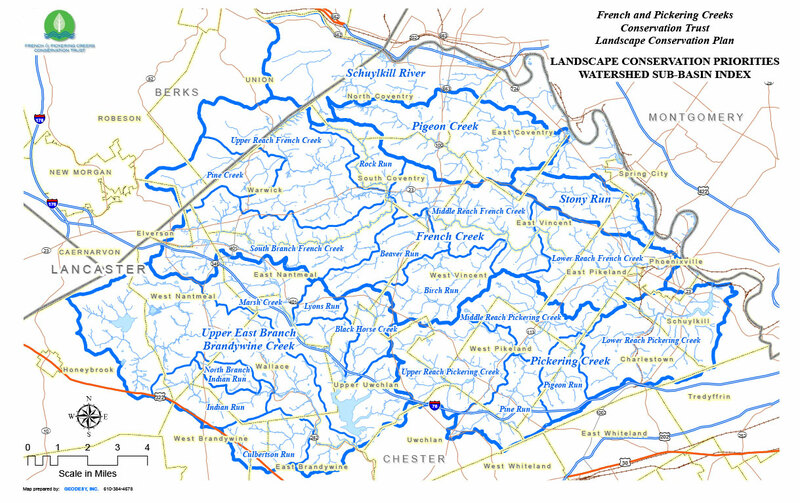 Northern Chester County has some of the highest concentrations of Exceptional Value and High Quality designated streams anywhere in the state, and French & Pickering has strived to preserve these waterways through conservation easements and assisting in the development of a robust water quality program in the region. Since 2013, the French & Pickering Creeks Conservation Trust has been one of over 40 regional and national organizations selected as a partner in William Penn Foundation’s groundbreaking five-year $35 million initiative designed to preserve and protect the Delaware River watershed. The $35 million in grant funds will fund an innovative and comprehensive approach to watershed protection. Most notably, the initiative will permanently protect over 30,000 acres in the Delaware River watershed, help complete over 40 restoration projects in critical areas, and provide resources for businesses and organizations such as French and Pickering Creeks Conservation Trust to engage and educate communities on the importance of our waterways. French & Pickering has partnered with Green Valleys Watershed Association, Natural Lands Trust, Berks County Conservancy, Partnership for the Delaware Estuary, Pennsylvania Audubon, Stroud Water Research Center, Academy of Natural Sciences, and Chester County Water Resources Authority to develop a strategy to take advantage of this unique opportunity over the next several years. To learn more about this program, please visit ansp.org.